Written by Anna Frohn Pedersen. 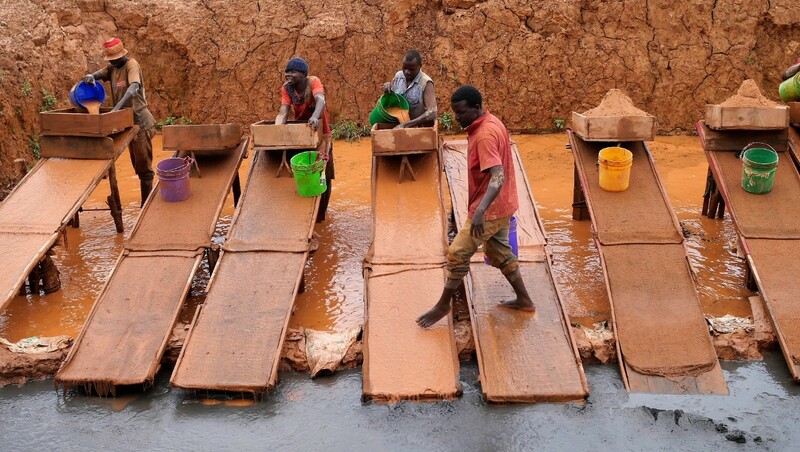 Postcards from a gold mine in Tanzania. 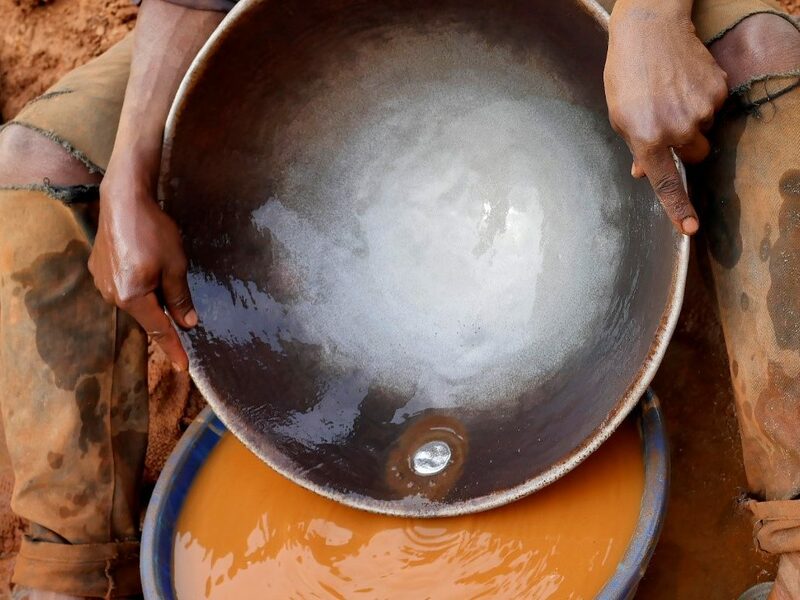 In October 2018, I travelled to Tanzania, seeking to understand how an increased global focus on sustainable mining has affected small scale mining practices. What I encountered was a sector with much entrepreneurship and where hope and risk go hand in hand. It is a sector that employs hundreds of thousands of Tanzanians. For these people, gold mining means that they can feed their families and send their children to school. That said, it is also a sector that has a long way to go in becoming more socially and environmentally sustainable. The rainy season is slowly beginning to turn the red soil into mud. Around me, miners are standing over the pits, waiting for their colleagues to send up the heavy bags of mined stones. Between the pits, women are sitting down, crushing the ore into smaller pieces. A loud noise, almost unbearably loud, is dominating the soundscape, as the mills are grinding the ore. Young women are carrying the bags with grinded ore from the mills to the men, who are washing its content in order to sort out the gold particles. Finally, the gold particles are captured by the liquid mercury. I am in the Mgusu, a mining site in the Geita region of Tanzania. From where I stand, the Geita Gold Mine is dominating the horizon: one of the largest gold mines in Tanzania with over 3000 employees. All around it, cities are expanding along with small scale mining sites, as people flock to the gold region to try their luck. Yet, the small scale gold endeavour comes with a risk: the pits can be up to 60 meters deep, and most often the miners only have a rope or some timber to hold on to, as they climb. If they slip, they might die. If the mine collapses, it easily becomes a death trap, and they might die. 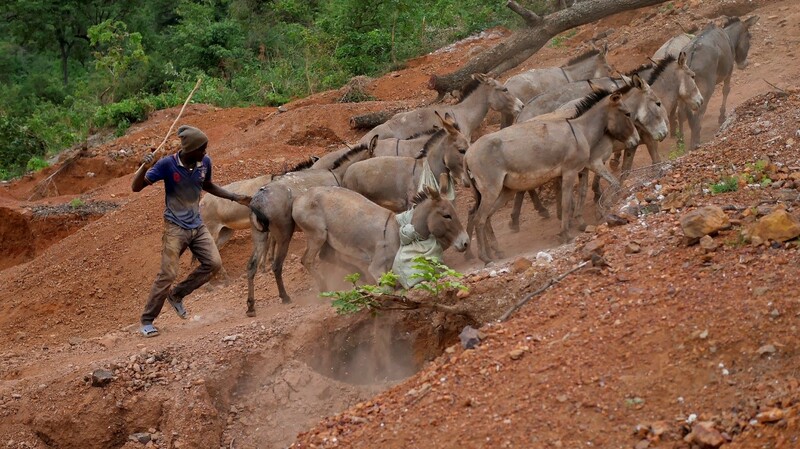 In Mgusu, donkeys are approaching us as they carry the gold ore down to the processing area. 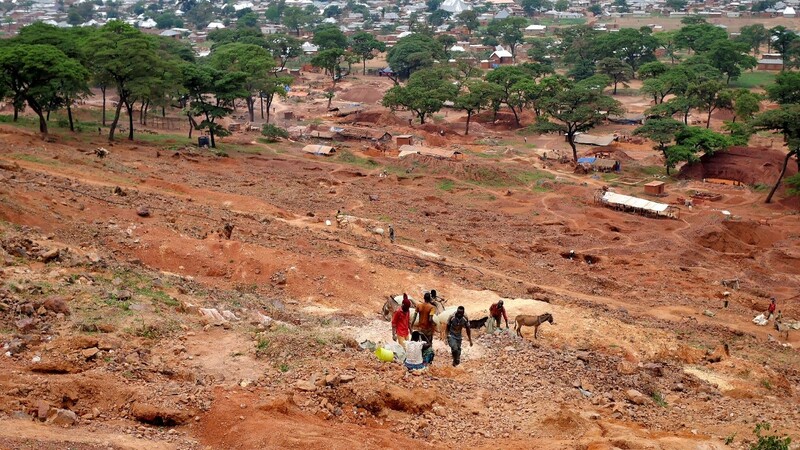 They are returning from the large hillside where the gold is mined. As we walk up the hill, deep holes are emerging in front of our feet. These are abandoned pits: pits that are no longer rich on gold – or never were. One of the reasons for this is that geological data is something only few, privileged mining operators have access to. Most of the miners only have the option to dig a hole and hope for success. Yet, for every hole that is dug and abandoned, the landscape becomes more and more dangerous and difficult to access. Seeing the dangers and damage that small scale mining brings with it, it is easy to condemn the sector. However, by moving beyond the mining sites, visiting the miners in the homes and walking around their villages, I also learn that small scale mining is a sector on which the communities in the region rely. 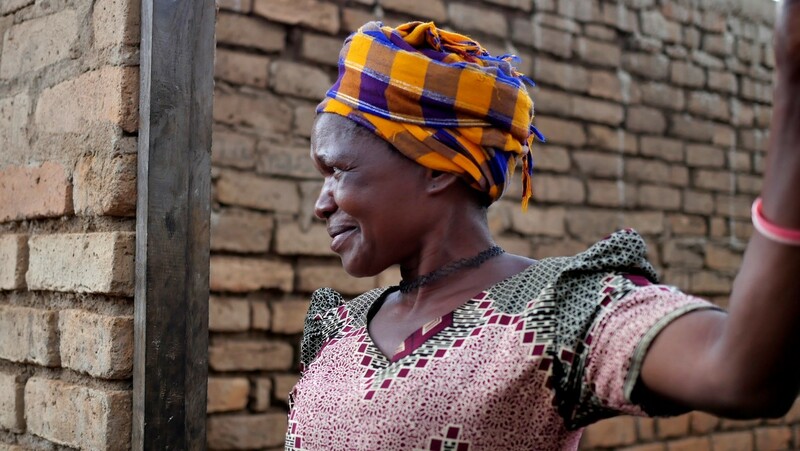 Because of small scale mining, houses are built, people are fed, and children are sent to school. I leave Mgusu with many questions yet to be explored. One thing that particularly strike me is that none of the miners know where their gold ends up. The commodity chain of small scale gold is long, often informal and involves a large range of middlemen. This means that it is rarely the miners that benefit the most from the gold, which they mine and process. We so often talk about the need for transparency in commodity chains, but often from a consumer perspective. 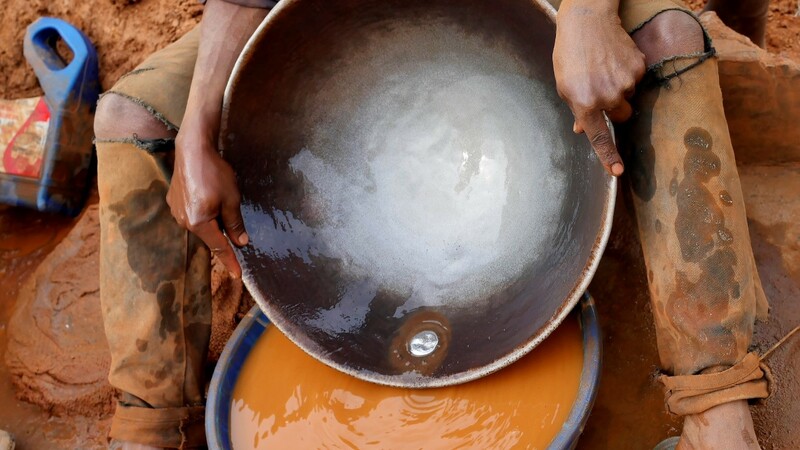 For the gold producers in Mgusu, the commodity chain is far from transparent. Does it matter? And why? Those are some of the questions I seek to answer once I return to the field. Anna Frohn Pedersen is working on the project Exploring telecouplings between mining and land change in Africa, based at Humboldt-Universität zu Berlin. Her researchcontributes to the wider field of telecouplings by offering a multi-sited, ethnographic approach to land use changes and the various flows affecting and surrounding these.